Welcome back to part two. It’s been big push completing the dry stone wall project and with many other key builds that needed to be finished before summer left us you could say we’ve been just a little bit busy! 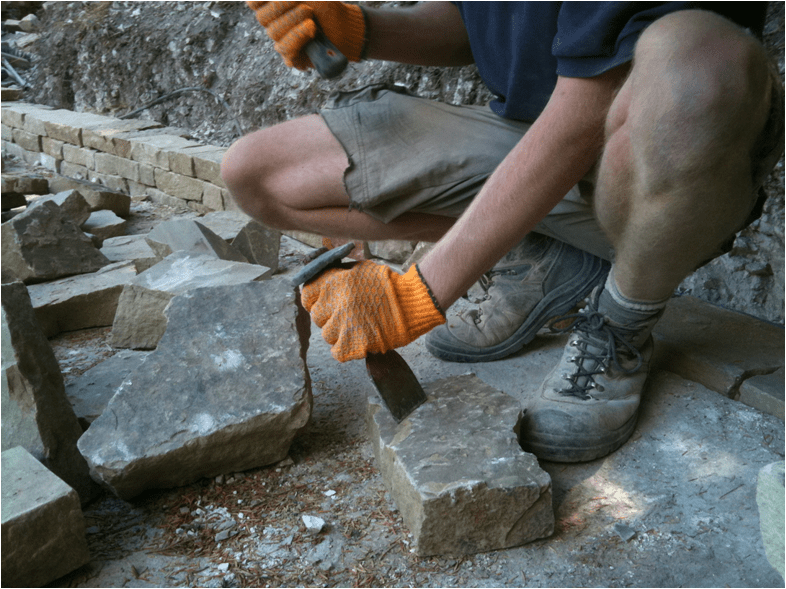 However, back to the dry stone wall build… I would like to begin by explaining a bit about the technical side of dry stone wall building. A good stone wall requires a certain level of skill from the builder, and this will be reflected in both the durability of the wall over time and the cost involved in its construction. A well-built wall should last for at least 100 years and be one of the most beautiful elements of a landscape project; of course, it is also a more expensive area of work. Be aware when commissioning such work, if the cost seems low it’s probably for a reason! This leads me on to some of the basic building techniques which should be employed in the construction of a wall and a few common faults to watch out for. Levels – stone walls should always be built to a level horizon. Although the courses within the wall itself do not have to follow a perfectly straight line, a wall should never be built sloped over the whole length. 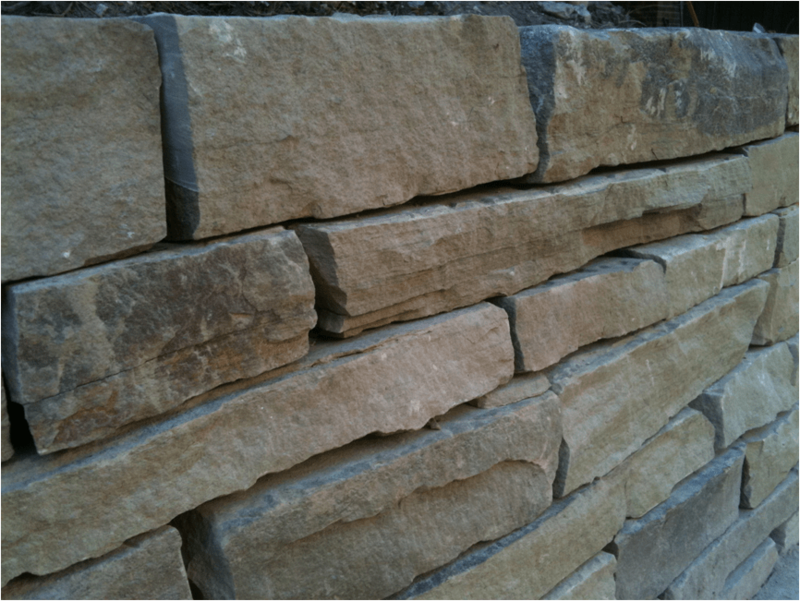 A good stone for use in a wall build should have a distinguishable front, top and bottom, the top and front being the flatter faces of the stone. The stone should sit as flat as possible within the course of the wall with a slight backward tilt and then, if necessary, it should be wedged from behind to prevent any rocking. In some incidences two or three courses may run into a larger stone at the end of the courses allowing for a change in the thickness in following each individual course. 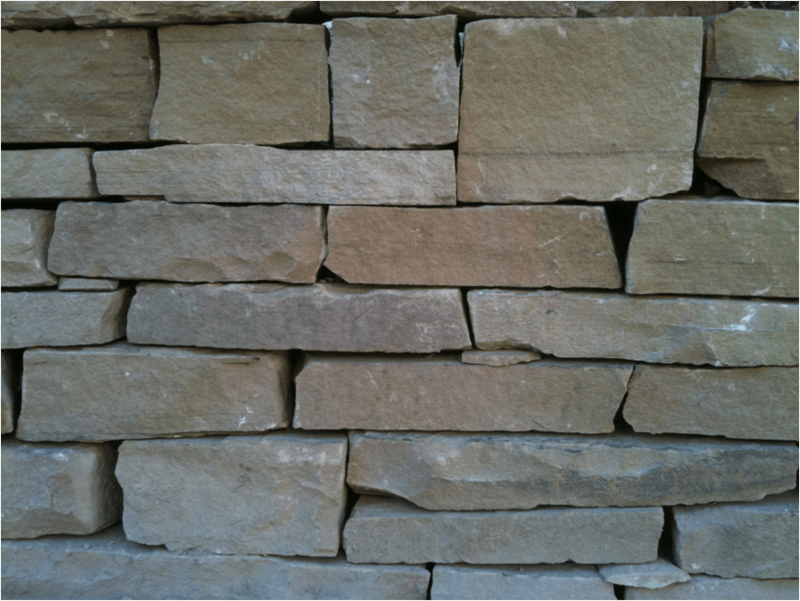 Tightness – Depending on the type and size of stone used, as a general rule smaller equals tighter; this is talking in terms of the gaps between stones within the wall. Gaps allow for movement over time, larger rocks obviously have more weight and are less susceptible to movement, whereas smaller rocks are lighter and mean more gaps within the wall, again allowing for movement. Long ,vertical runs or gaps in a wall are not acceptable as this creates a major weakness. Joints should be staggered although there are some circumstances where two or maybe three courses end in a larger rock as mentioned above. Finishes – A wall should be finished with some kind of capping. Rocks can be placed on edge or laid flat and generally tend to be fairly sizeable as they help to weigh the structure down and hold everything together. Other types of capping are available, for example pre-cast concrete capping and slabs in various shapes and sizes. Obviously there are many types of stone available including sandstone, slate, limestone, granite and many more . In some respects it’s best to stick to a local stone as it generally works better within the landscape and is obviously more sustainable. Here are some pictures from one of the first major stonework projects that Arbworx has completed. Tightly interlocking York stone. The nature of this stone gives a very formal looking wall. There are endless styles and techniques of stonewalling. Obviously some stones need a little extra shaping to encourage them to sit nicely. I hope you have found some of this information about building with stone interesting, and that some of the basic things to consider when looking for this type of work to be carried out will be helpful for you. Check out some of these useful links to find further information on natural stone. Next PostIn the Bleak Midwinter or the Season of Preparation?